#DisneyTrivia: Pirates of the Caribbean! Continuing our look at Pirates of the Caribbean! Hello everyone, and welcome to this week’s #DisneyTrivia segment! Since today is #Day69 in our #DisneyWorldCountdown, we are continuing our look at the Pirates of the Caribbean today, with some interesting facts and figures about this Disney Classic! Did you know these facts and figures about Pirates of the Caribbean? Originally Pirates of the Caribbean wasn’t going to be a Disney World attraction because of the thought of how close it was to the Caribbean, but this was changed. Pirates of the Caribbean opened on December 15, 1973 — 7 years to the day that Walt Disney passed away. Last year was the 40th Birthday of the Magic Kingdom version of the attraction! The version at Disneyland has two drops, whereas the version at the Magic Kingdom only has one. If you eat at the Blue Bayou in New Orleans Square at Disneyland, you will be overlooking the start of the Pirates of the Caribbean ride. I could go on and on about the attraction, it is one of my favorites, but for right now, I want to know, who did you vote for in the March Magic tournament? The Caribbean Pirates of Disneyland or the Gracie Manor Hitchhikers of Walt Disney World? I voted for the PIRATES! Go Pirates! Thank you for stopping by today! My friends Jodi from Magical Mouse Schoolhouse, Heidi from Heidi’s Head, and Jenn from Disney Babies Blog are excited that you take time each week to join in the fun! Do you have a blog? If so, write up a trivia post and add it to our list! Check out the rest of the entries, but make sure you go out and have a great Disney Day! Would Walt Disney have Enjoyed Blogging? The official Disney Blog once asked readers that very question. It was interesting to note that almost every single person who responded said ‘Yes’ without any hesitation. I was a little surprised to see that not many people thought the answer would be ‘No’. Now, I didn’t read all of the comments for that post, so maybe more had other ideas. But the first few comments seemed to support the positive view. I’m going to go against the crowd here and take the other path. I don’t think Walt Disney would have taken the time to Blog, or to Twitter, or to set up and maintain a Facebook page. And I’ll tell you why! With so many books written about Walt Disney, it is easy to get a reasonably clear picture of the man and his methods. And by reading up on his early years up to the days before his passing, one thing seems to stand out: Walt Disney didn’t do all of the actual work himself. He didn’t animate his films. He didn’t build the technology used in the Parks. What he did do, and did better than anyone else, was come up with the ideas that no one else had thought of. He was an Idea Man. Of course, as an Idea Man, he would have considered the use of all available technology and how it could enhance his connection to the public. Anything that could have promoted his latest project would have been explored. So the various aspects of the Internet would have been explored. But once explored, would Walt Disney himself have utilized them? Would he have taken the time to build a Facebook page and regularly chat with all who visited? I think it is safe to say that Social Media would not have appealed to Walt. For here was a man with few regular friends. A man who seldom attended parties or public functions if he could avoid it. And something else is of interest. When asked for autographs at Disneyland, he would often refuse, because it slowed him down and made it impossible to get his work done. Instead, he would give them a pre-signed card (which you can see portrayed in the movie Saving Mr. Banks), or he would recommend that the person(s) write the Studio and request an autograph, and that then one would be sent to them. Did Walt himself sign those autographs? No. Often, he had someone else sign his name for him! With these things in mind, it’s hard to believe that Walt would have taken the time to set up and maintain any of the Social Media accounts that we make such free use of today. But he may have had someone else do it in his name! The Point: Walt likely wouldn’t have Blogged himself. But really, would we want him to use his time telling us what he had for lunch? Or would we rather he used his time to Imagineer? Hello everyone, and welcome to today’s #DisneyWorldCountdown post! We are now officially at #Day69 in our countdown, and for this day, we are taking a look at Pirates of the Caribbean, that attraction located in Adventureland at the Magic Kingdom! This is an attraction that I really like because it is usually a quick line, not much waiting, it is cool and comfortable, it has great scenes and action, a drop, and this attraction has led to a whole series of movies! 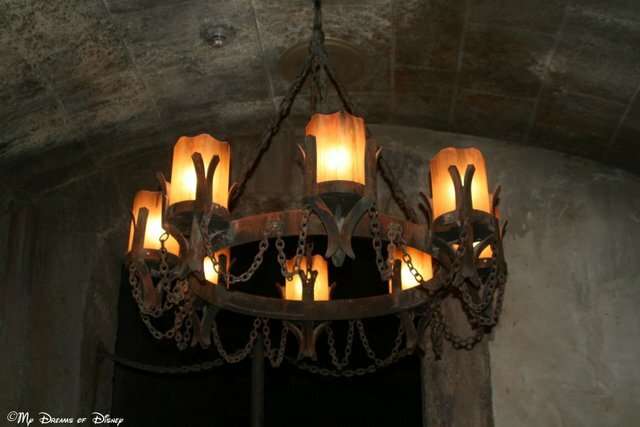 The detailing in the queue is a great part of Pirates of the Caribbean! 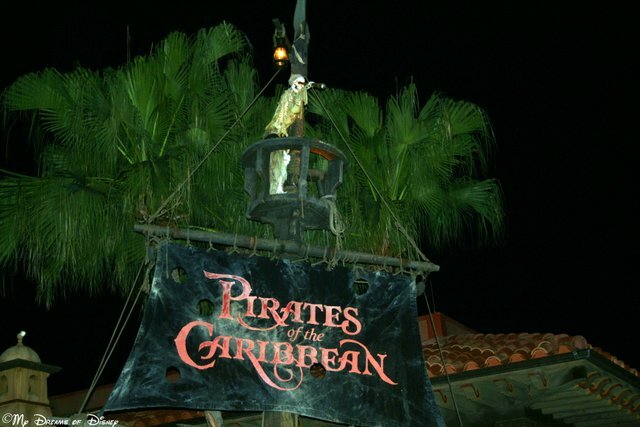 But, of course, the best features of Pirates of the Caribbean is, of course, the ride itself! It is such a winding, meandering path, with a town scene, a jail scene, a scene involving the attack on the fort, and lastly, Captain Jack Sparrow sitting with all of his treasure around him! So tell me, what do you think of the Pirates of the Caribbean attraction? I hope you like this classic Disney attraction! Please let me know in the comments, and thanks for stopping by!